Trivia Around the Bend, NRC/IUSB 3-part Series, Inclusive Economy Initiative, Yard Waste Schedule, and more. for your own South Bend neighborhood. 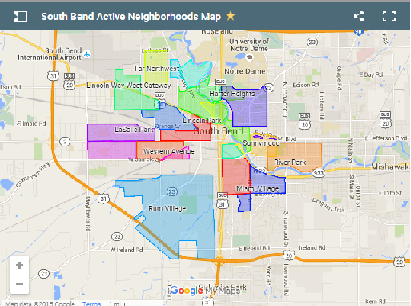 Thanks South Bend Tribune for focus on neighborhood challenges! It's expanding NRC conversations with neighbors on quality of life. to see how you can get involved. 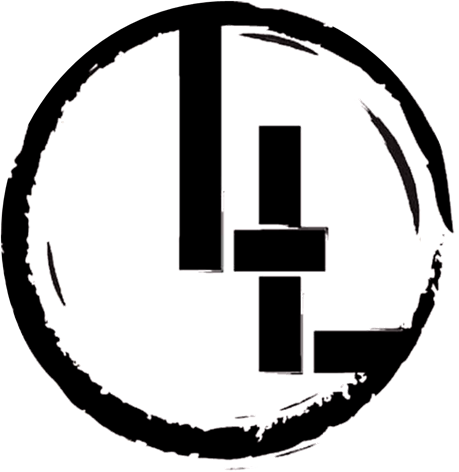 Last Chance to Sign up for Trivia Around The Bend! Don't miss out on Trivia Around the Bend! Don't miss out on this fun way to support the work of the NRC! November 10th is right around the corner. Sign up as an individual, a couple, or form your own table of up to 8. Just $10 per person. There is a small cash prize for the winning table plus a chance to win a gift card tree valued at over $200. It’s important that you register in advance so we can plan accordingly. You can register online through Eventbrite, pay at the door, or contact us at 574.287.0425 or nrcneighbors@gmail.com. Also this week, we would like to thank event sponsor KeyBank and round sponsor Holladay Properties. Time: Doors open at 6 p.m., trivia starts at 7 p.m.
Where: The Hall at St. Peter’s (Rockne and Ironwood). Recap and Last Session of the ABCD three-part Series! 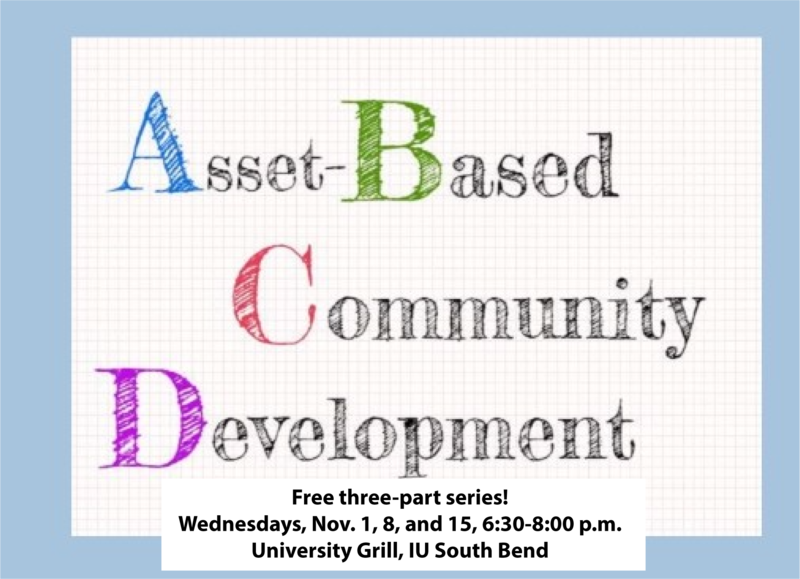 On Wednesday, November 15th, join us for part 3 of our 3-part series on Asset Based Community Development (ABCD), a collaboration between the NRC and the IU South Bend American Democracy Project. The session which is free and open to the public takes place, 6:30-8 p.m. in The University Grill located in the Administration Building on the campus of IU South Bend. 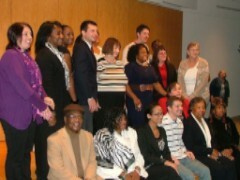 This week you will hear two stories about how Asset Based Community Development has played a role here in South Bend. We’ll hear from the Southeast Organized Area Residents working with the Bowman Creek Project and from the Fremont Street Youth Foundation who will share their successes in Fremont Park. There will be time for discussion following their presentations. Last night, in part two of the series, Christina Brooks presented the nitty-gritty details of creating a community asset map. 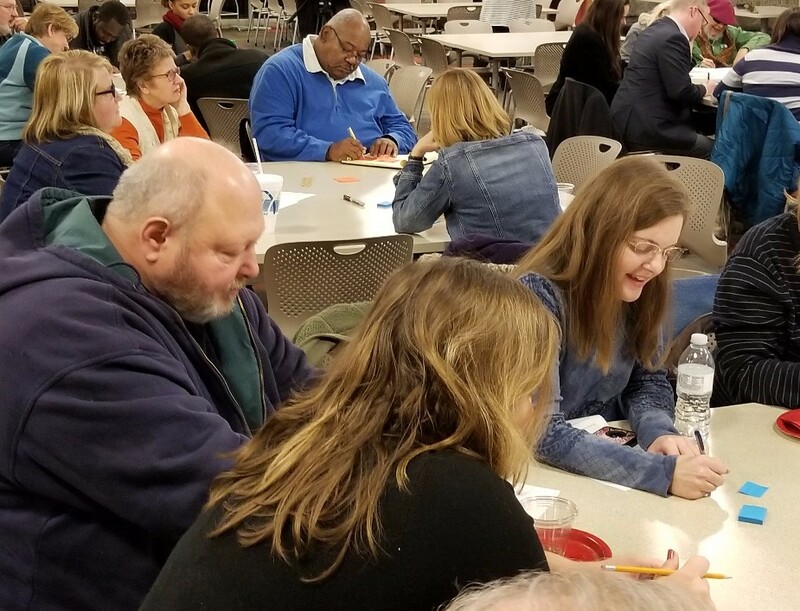 Christina is the Diversity and Inclusion Officer for the City of South Bend and is leading the asset mapping for the City’s Partnership for an Inclusive Economy Initiative. Her presentation followed the November 1st kick-off session in which Mike Mather provided an overview of the ABCD concept. 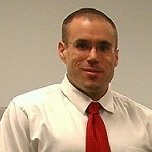 Mike is a faculty member of the ABCD Institute, DePaul University, and is a pastor at Broadway United Methodist Church in Indianapolis, formerly pastor of Broadway Christian Parish in South Bend. Just what is an asset map or for that matter, what is a community asset? An asset is a useful or valuable thing, person or quality and an asset map focuses on the positives and gifts of individuals rather than emphasizing the deficiencies. Community or neighborhood assets can be grouped into individuals, associations, institutions, physical space, culture, and exchange. The most valuable and hardest to identify assets are the gifts of individuals - gifts of the head, the hands, and the heart. You can gather that information in a variety of ways. An important way is getting to know those people living in the neighborhoods who know the people who are resources; who has what gifts and skills. You can also conduct one-on-one interviews, focus groups, and/or surveys to gather more information. Stay tuned for a more complete story at the conclusion of the series. Last Friday, November 3rd, Mayor Pete Buttigieg joined Dedrick Asante-Muhammed, Senior Fellow-Racial Wealth Divide at Prosperity Now to kick off the City’s Partnership for Inclusive Economy initiative. Prosperity Now is a national nonprofit that researches financial equity in cities across America. 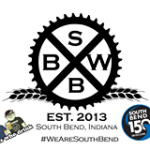 South Bend is the smallest city with which they are partnering. At the event, which was held at the Charles Martin Youth Center, Mr. Asante-Muhammed presented their research and findings in the City of South Bend Racial Wealth Divide Profile. More information on their research and findings. The city of South Bend profile data will be indexed as a part of their national scorecard and will be tracked for progress in the coming years and obtainable as public knowledge for generations to come. As part of the initiative, the Office of Diversity and Inclusion will work with neighbors to conduct asset mapping around the city. They will be holding multiple information and recruiting sessions between now and June 2018. The first session is at Harrison Primary, Thursday, November 16th, 6:00 p.m.
Yard waste extra pickups will continue through the end of 2017 and continue until April 1. Extra pickups must be scheduled by filling out the form on the City’s website or by calling 311. All City residents paying for City trash services can schedule a monthly pickup of one cubic yard of yard waste at no charge. All extra scheduled pickups must fall within the following guidelines: leaves must be bagged in biodegradable leaf bags; sticks and branches must be less than 4 feet in length and 4 inches in diameter; and waste must be in manageable bundles, tied securely with twine. No City yard waste containers or personal containers will be serviced. No plastic of any kind will be accepted. 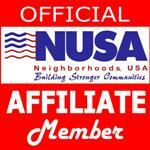 The Neighborhood Resources Connection in South Bend is an affiliate member of Neighborhoods USA. 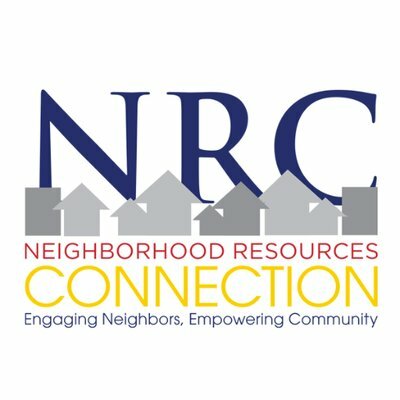 NRC programs are free to South Bend residents and are funded in part with the assistance of the City of South Bend Community Development Program with funds made available by the U.S. Department of Housing and Urban Development under Title I of the Housing and Community Development Act of 1977.